Recognize the challenges that can impede efforts to change grading practices. Consider research that can help shape individualized, valuable professional learning experiences. Identify the concepts and perspectives to which curriculum team members must commit, to successfully adopt evidence-based grading practices. Discover the important relationships between learning targets and grading, feedback and instruction, assessment and grading, and gradebooks and learning. Review valuable key points for each phase in the creative model for pursuing evidence-based grading. Gobble, T., Onuscheck, M., Reibel, A. R., & Twadell, E. (2016). 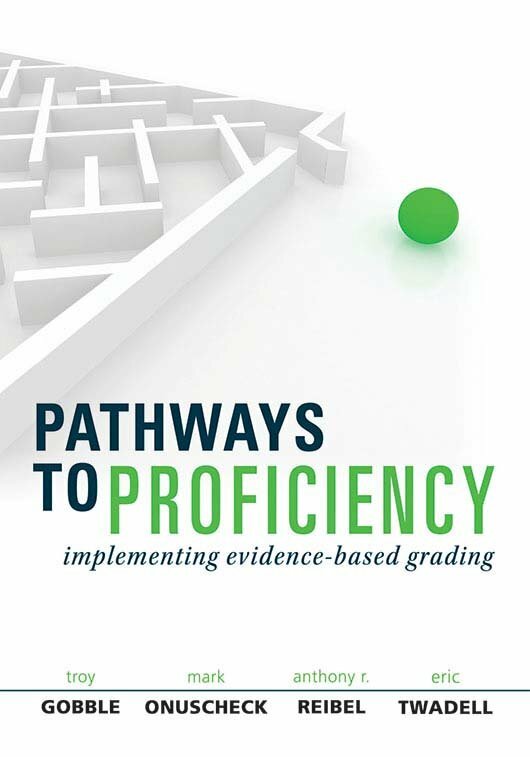 Proficiency-Based Assessment: Process, Not Product. Bloomington, IN: Solution Tree Press.